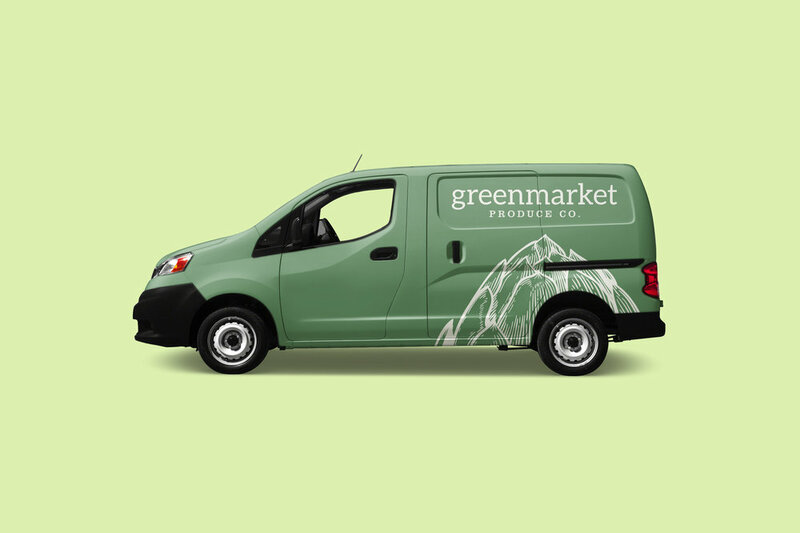 Greenmarket Produce Co. is a local produce delivery company with a focus on serve-in-season produce curated by a professional chef. I created an all-new branding system for them and then applied it to their essential collateral. A wordmark. Business cards. Tote. Truck wrap. Apron. And a sales folder. Delicious, yes?